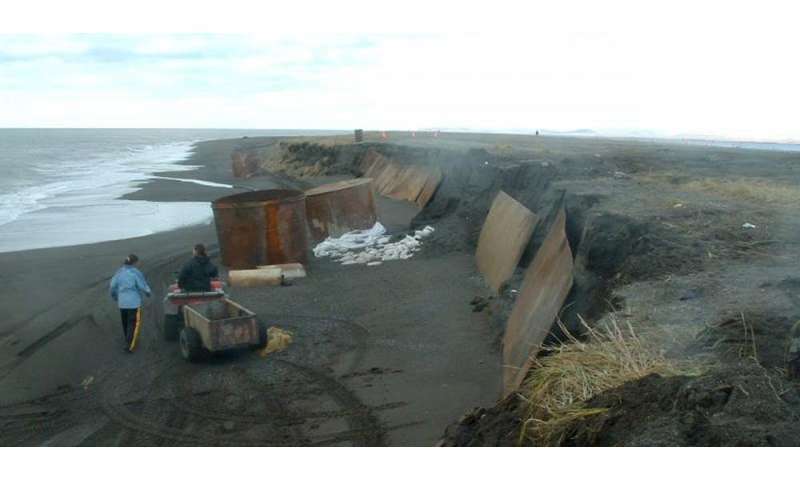 Coastal villages are washing into the Bering Sea, trees are sprouting in the tundra and shipping lanes are opening in an ocean that was once locked in ice. In Alaska, climate change isn't a distant or abstract concern. As a climate change researcher at the International Arctic Research Center at the University of Alaska, Fairbanks, I see a lot of compelling data – and also hear a lot of compelling stories. Both data and stories are important. For everyone from the National Park Service to the military, from the oil industry to city managers to traditional hunters, adapting to climate change is the new reality in Alaska. Almost 12 years ago, we embarked upon a new research effort at our state university. The idea was simple: Meet the needs of those planning for our state's future by providing information on climate change that was local, relevant and scientifically valid. First named the Scenarios Network for Alaska Planning (SNAP), we soon had to add the word "Arctic" to our name, because we realized that Canada and other countries from the polar region were as eager for long-term forecasts of climate change trends as Alaska was. In the Arctic and sub-Arctic, climate change is accelerated and its effects are profound. This is primarily the result of what is known as the "albedo effect": As we lose reflective ice and snow due to warming, more heat-absorbing dark ground and water are exposed. Thus, local warming gets even more extreme. Just where climate change effects are extreme, data is often limited. Few weather stations offer long-term reliable histories. Populations are sparse. So we glean information from a variety of sources and combine that with historical data and the accumulated knowledge of people who live on the landscape. All point incontrovertibly to a warming environment. The ways in which this change plays out are as diverse as the people and landscapes of Alaska. 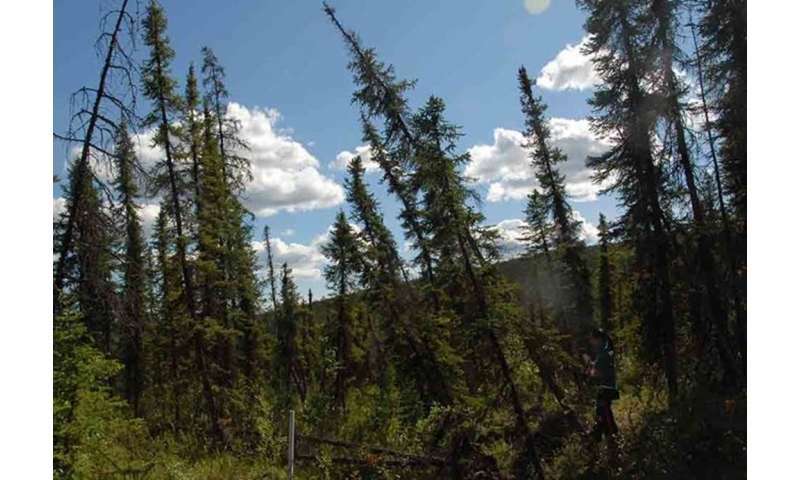 Our state includes not only Arctic tundra underlain by the permanently frozen ground called "permafrost," but also vast stretches of spruce, birch, aspen, alder and willow trees: the boreal forest. To the west, the windy Aleutian islands stretch out into the Pacific, and to the southeast, Alaska hugs the coast of British Colombia and boasts dense and towering coastal rainforest. Across the state, hundreds of small communities – primarily Alaska Native villages – are not connected to the road system. Accessible only by air, sea, river or winter trails, these communities maintain traditional subsistence lifestyles based on hunting, fishing and gathering food and other resources. Meanwhile, the state's coffers are enriched by money from oil and gas extraction – which are both primary sources of climate change, an irony that has not gone unnoticed by those struggling to craft long-term plans for Alaska. With 6,640 miles of coastline, Alaska is an ocean-dependent state. Due to loss of sea ice that protects soft soils from seasonal storms, huge stretches of this coastline are washing into the Bering Sea. For communities at risk of erosion, all other concerns pale in comparison. At stake are not only structures and money, but also traditions, a sense of place, and even lives. In Shishmaref, an Inupiat village with about 500 residents, homes have slipped off cliff edges and a hunter fell through thin ice. Relocation is costly and a last-ditch option. On the coast of the Arctic Ocean, walruses, seals and polar bears are no longer finding the ice they need to rest, hunt, mate and breed. The shortening sea ice seasons are also threatening traditional hunting practices. Even for inland residents, the health of the ocean is crucial, because the salmon caught in Alaska's rivers fatten in the open ocean. Should climate change render the ocean too acidic due to changing atmospheric carbon, the tiny sea snails on which the salmon feed would be at risk because they may no longer be able to form their shells. In the interior of the state, forest fires are burning bigger and hotter than in the past. The boreal forest system is dependent on the renewal of young vegetation after a burn. But with hotter, drier spring weather, sparks from dry lightning have torched millions more acres than usual. Neighborhoods have been evacuated, and dense palls of smoke have spread across the state. Such fires also accelerate the other major inland change: permafrost thaw. On the newly soft, water-saturated ground, roads buckle and foundations fail as once-frozen soils slump and shift. 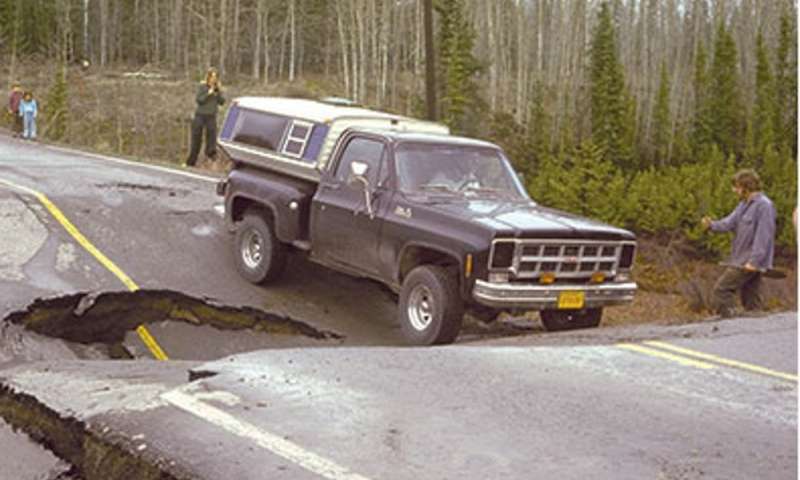 Roads, runways and bridges can sustain costly damage. Here in Fairbanks, tilted and sinking homes are a common sight. As organic soils thaw, they start to decay, which in turn releases carbon into the atmosphere. These carbon releases, which exacerbate climate change, are particularly potent in the form of methane bubbling from lakes. About half the population of Alaska lives in Anchorage. Here, livelihoods tend to be more urban, but recreation often depends on snow – snow that is not showing up. The Iditarod sled dog race has had to move its starting line and reroute mushers. Tourism businesses are suffering. The city, like many communities around the state, is working on a climate change adaptation plan. Meanwhile, around the state capital of Juneau and other Southeast Alaska communities, the mountains are losing their snow caps early and gaining them late. Water is flowing downstream out of season, which may impact everything from salmon stocks to hydroelectric power generation. Iconic yellow cedar trees are dying due to lack of protective snow cover on their roots. Here, as elsewhere in the north, whole ecosystems are changing, putting some migratory birds such as eiders and some small Arctic mammals such as pikas and marmots at risk. Also threatened are lifestyles and livelihoods linked to Alaska's caribou herds, which may be losing the lichen they need to survive. Although mitigation of climate change via reductions in global greenhouse gas emissions is crucial, even the most optimistic scenarios include substantial shifts in temperature for many decades into the future. While adapting to this change is likely to be costly, failing to adapt will be costlier still. Recognizing this, Alaska's communities and land managers are taking action. For the past year, a statewide plan has been in development. The University of Alaska and the municipality of Anchorage are creating a Climate Action Plan to address issues as diverse as invasive beetles, cultural loss and lack of skiing opportunities. For the village of Newtok, planning meant seeking federal funding for total relocation. When a glacier at the heart of a National Park is rapidly melting, the thaw itself becomes part of the educational mission of the park. Federal agencies, including the National Park Service, the Department of Defense, the Bureau of Land Management and the Forest Service are working with my planning group and other partners to incorporate climate change into their visions of the future. For those who live and work in Alaska, adapting to such profound changes in our state is hard. Failing to do so would likely be catastrophic. Funny how the poster children for "climate change" are always located on sandy barrier islands which are notoriously susceptible to erosion completely unrelated to sea level rise. Shishmaref and Kivalina are both built on sand, just a few feet above sea level. Like sandy islands in river deltas formed from deposited sediment, changing currents can rapidly erode the islands without any notice. Nature doesn't care. They are lousy places to build permanent settlements. Permafrost has been melting for thousands of years. Funny how the poster children for "climate change" are always located on sandy barrier islands which are notoriously susceptible to erosion completely unrelated to sea level rise. How is it possible for an otherwise intelligent human mind to misconstrue the import of what is happening to the most immediately-vulnerable locations/infrastructure/activities etc where deadly impacts of AGW driven climate change extremes will be felt first, before eventually affecting next-most-vulnerable locations and so on? Interestingly, sea level is actually receding, not rising, in most of Alaska due to post-glacial rebound after the mile thick glaciers of the last glacial period ("ice age") covering much of the far north began to melt.......Permafrost has been melting for thousands of years. That melt is now accelerated, and its impacts now exacerbated, by human activity that has made things worse; increasingly plunging BILLIONS of humans into chaos. The claims about Shishmaref are total BS ... which is no surprise, as most of the doomcasting is false. If you are interested in what's really happening in Shishmaref, see below. And Kivalina is the same, another bogus made-up story. Again, see below. Grrr ... this BS is getting old. And since they changed it to "Arctic" and not just "Alaska", here's more nonsense about Arctic climate refugees, this time from Canada. Pathetic how they try to twist the truth. Nancy Fresco should be ashamed for pushing this failed doomcasting.